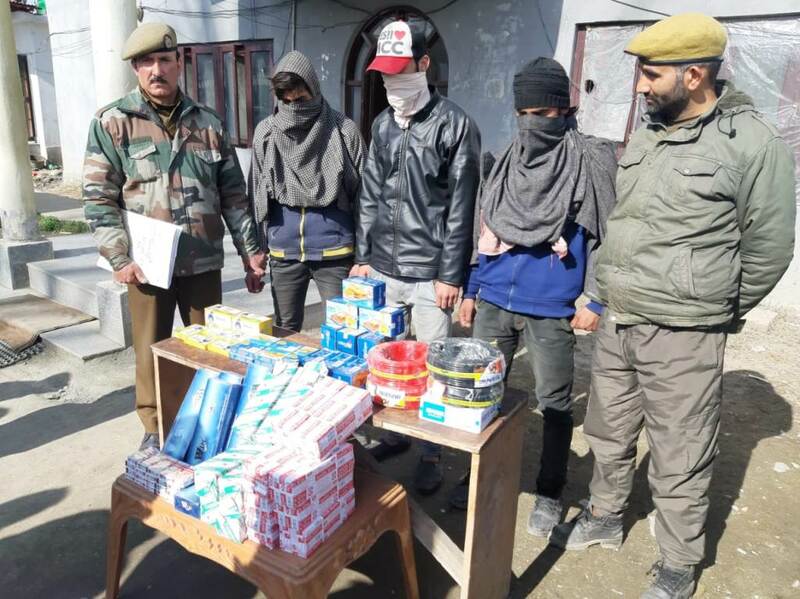 The Jammu and Kashmir police on Monday arrested three burglars from Budgam district and stolen items were recovered from them. The spokesman said that during the intervening night of 19/20-01-2019, burglars broke open the lock of one shop at Magam Town and stole some items from the shop. Later on, three accused persons identified as Ishfaq Ahmad, son of Ali Mohammad, Jehangir Ahmad son of Abdul Rashid and Irfan Ahmad, son of Abdul Rashid, all residents of Hard Souresh Khag were arrested who confessed to the crime. On their disclosure, stolen property was recovered. Further investigation is in progress, police said.